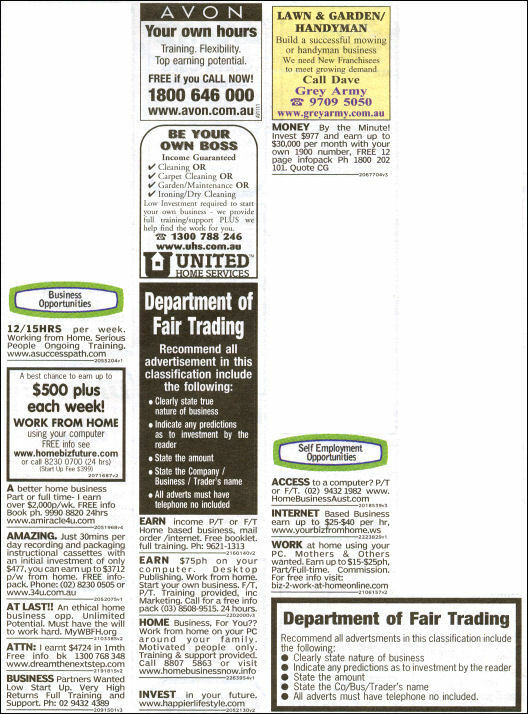 The following advertisements appeared on page 88 of the July 26, 2006, edition of my local community newspaper, The Parramatta Advertiser. You will notice the two blocks pointing out the state Department of Fair Trading's recommendations for the content of advertisements in these categories. Here is how the 18 advertisements meet the recommendations. clear statements of the nature of the business (and one of them was lying anyway). fee as this is implied by saying that it is a franchise operation. So how many comply with all the recommendations? Zero, actually. The three which come closest are Avon, United Home Services and the Grey Army, all of which are respectable business opportunities with real products. (I agree with Dr Jon Taylor of Pyramid Scheme Alert that Avon might have some multi-level marketing characteristics but it is a real business opportunity for participants.) Not coincidentally, these three were the only ones to provide the name of the business. My first rule of avoiding pyramid schemes and other financial scams is to assume that anyone who doesn't identify themself has something to hide. My politeness quotient is limited, so I decided not to ring any of the advertisers (not even the one with the free call facility). I did, however, check the web sites, and here is what I found. I used my real name, post office box and mobile phone number for registration at sites which required it, but I created a Hotmail email address to use for this project. I can only stand so much pain and I have no need to clog my real inbox with spam and drivel. 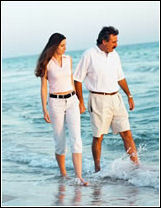 This site has the following wonderful image on it, showing the lifestyle benefits of participation in the scheme. I am a bit concerned about the Porsche 928 because Porsche haven't made these since 1995 and surely the scheme could provide a more recent car. On the other hand I absolutely love the 928 and so this opportunity might just be the right one for me. There was nothing on the site saying what the business is about so I filled in a registration form to get more details. I was taken through a series of screens which regurgitated classic MLM drivel such as the percentage table about how many people were wealthy at age 65, but all I could find out was that it was part of the "trillion dollar WELLNESS industry". As I had the misfortune to sit through a presentation by Paul Zane Pilzer once where he lied to people about the prospects of getting part of the trillion dollars, I can only assume that this is part of a pyramid scam. Nowhere in the presentation did it mention the name of the company offering wealth to its associates. I was invited to pay $38 (plus $9 postage) for a CD and DVD giving more information about the opportunity but I decided to keep my credit card in my wallet. As I gave my mobile phone number as part of the registration process I might get a call, and my first question will be "What is the name of the company?". As the company has apparently been operating in Australia for 20 years and is listed on the New York Stock Exchange, I expect an immediate and proud response. Right! The confirmation email I received after registering said "Thank you for your recent visit to my website. I do like to say hello personally to people but unfortunately you were not available when I called". As my mobile phone has been turned on, nobody has called today except Her Majesty to ask what I had forgotten to put on the shopping list, and nothing has been sent to my voice mail, I have to take the last part of the statement with a grain of salt. Make that a bushel of salt. In a later email I saw an advertisement for the autoresponder they use. It seems to defeat the purpose of sending chatty emails if you include a link to where you can get the program which generates them without any human input. The slide show turned out to be a couple of videos. The first one told me how economist Paul Zane Pilzer had predicted that the wellness industry would grow to a trillion dollars by the end of the decade. I have mentioned elsewhere how MLM spruikers assume that nobody can do arithmetic, so it was no surprise to be told here that going from $300 million to $1,000 million is a 300% increase. The second video consisted of a lot of talking heads saying how bad their old jobs had been and how good life is now. Eventually, after about ten minutes of this cringe-inducing claptrap, the company behind it all was revealed - Herbalife. The obligatory Nobel Laureate was wheeled out (Louis Ignarro, who shared the Medicine prize in 1998 for nothing to do with what Herbalife sells). Continuing the tradition of assuming that no sucker understands arithmetic, and adding to it the assumption that suckers have short memories, this video told me that the current market was $200 million (not $300 million) and that increasing this to $1,000 million would be a 500% increase. I decided not to proceed to the next page where I could show my enormous interest in the scheme. I couldn't identify the car in the picture on the front page, but it looks expensive. It didn't really matter anyway, because there was a picture of someone in a Porsche on one of the pages I got to after I gave them my email address. 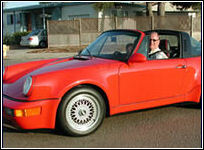 Again the Porsche is some years old, but maybe the owner has been too busy accreting wealth to go out to get a new one. Also inside the site was the old story about how broke people were at 65. I am not as much of a loser as I thought, because apparently I got further into the site than 95% of visitors. What wasn't inside the site (although I might have got it if I paid $39.95 for the "free info book") was any mention of the name of the company or even the nature of the business and what would be sold to generate the Porsche-buying wealth. At least it didn't mention Pilzer or wellness. The automatic confirmation email I received after registering was also shy about the who, why and what the business was about. One day I might click on the link in that email to get more information. This one didn't have any pictures of cars, but it did have a picture of what I later found was a free teaser - a book telling people how to make money selling stuff on eBay. I filled in the form asking for a free information pack and I was taken to a screen which said that an email had been sent to me and I needed to click on something to confirm that I was real. (When I went to Hotmail to check my inbox I was presented with an ad for Avon. Spooky. The advertisement answered my question about how much it costs to join Avon - free.). After clicking I received another email which let me download the free book and also find out what the real product is - another book listing many ways in which it might be possible to make money working from home, only one of which is the "recording and packaging instructional cassettes" mentioned in the newspaper advertisement. I didn't see any indication that there would be any assistance in actually setting up and running these money fountains. I decided to keep my $487 (not $477) and spend it on something else. Yet again, there seems to be no mention of the company or what it is selling inside the site (which you have to supply an email address to get to). The point is made that this scheme is selling a real product, but apparently not real enough to be proud of. It is "ethical" though. Just after this page was first published I received the following email. The last sentence may help to explain why I do what I do with this site. I have Just read your page about M.L.M. adverts. Just to let you know that the 60 minute money site is for Herbalife. I just wish I had found your website before I found theirs, as I blew six grand on this B.S. One response I received by email after going to the four sites above was from a Philippines representative of a company called Mach90, whose product, according to the sales spiel, is a computer technical support hotline named Juvio. (The cartoon spruiker on the Mach90 site did, of course, mention the statistics of wealth and poverty at age 65.) Further research turned up the fact that the tech support service costs end consumers $34.95 per month (or $99.95 per month for a family plan), which suggest to me that a lot more of the fabled residual income will have to come from recruiting fees than will ever come from real sales of real product. You may notice that none of the web sites above look like Mach90 or Juvio. I was not really surprised, however, to find that as well as the tech support Juvio sells vitamins. I await further information. Another place which forgets to put a picture of an expensive car on the front page. This was merely an oversight, as I soon found the same picture as on the front page of the www.amiracle4u.com site. I suppose I could have filled in the little form giving them my name and email address so that I could get into the site to see if it offered more than the other one, but as these people keep saying, if you keep doing the same thing you can expect to get the same results. In any case, this one only offers $4724 a month whereas the other one provided $2000 per week. Why even consider second-best? This URL immediately redirected me to dreams-happening-4-u.org, which was a clone of the MyWBFH.com site mentioned above. I didn't bother looking any further. At least the advertisement didn't mention "ethical". This immediately redirected to www.prosperityautomatedsystem.com. No pictures of cars, but there was a picture of a lady worshipping some money and a young couple who have made so much money that they have managed to get to walk on an ocean-front beach on Lake Mead, right near where they live in Las Vegas. I looked at a video which first informed me that this was not an "MLM scenario" or a pyramid scheme. (The first page of the site does mention "Multi-Income Marketing", though.) It then goes on to describe a classic chain mail model pyramid scheme. The system apparently allows you to sell your own goods and services but doesn't quite get around to explaining how you can feature these goods and services on your cloned web site or how you can reduce your working time to minutes each week while still selling your own products. You can, however, feature up to seven different pyramid schemes from the same promoters as products on your site. When you look further, you see that these are the only products you can offer (plus the overall scheme itself), so there goes the story about how you can use this to expand or assist your existing sales business. Was I surprised to find that the first thing I read was a lie? I will let you guess the answer. Someone wanting to set me straight about pyramid selling sent me this email about another instance of the same scam. It is rather ironic that the case above was the most blatant pyramid scheme of them all, with no product except the scheme itself. My name is Renea and yes I do agree with most of what you have to say in regards to MLM as I have had some of these experiences, it is just a shame that the only way certain companys market great products is through MLM and to be able to afford them is to get people to buy them eg sign up underneath you, however I have finally found an oppurtunity to market my products and not ever have to prospect people again if I choose not to,this is the way of the future people shopping online for what they need.I have a number of great products that I love and like to offer to other people and this system allows me to advertise up to 6 products- and I haven't had to do the big MLM selling thing to anyone, the products are there and if you want to use them great. I know about this scheme. I recently did an investigation into "business opportunities" advertised in my local paper, and this particular scam stood out because it had no product except the scam itself. 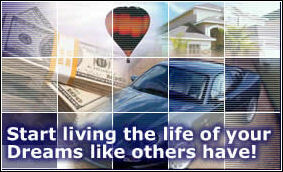 By the way, I didn't see it using anything like the URL of your web site, but instead at www.happierlifestyle.com and www.prosperityautomatedsystem.com. To your credit, however, neither of those sites had a picture of an expensive car but yours did. If it isn't done by referral, then why does the main web site at www.megawealthy.com insist on seeing a distributor identifier as an introduction before letting anyone see the "opportunity"? And what does Pegasus Mail have to say if you click on Renea's link? Familiar? Why would anyone go into a business with so many existing competitors? And this one doesn't even tell you how much money you will make. What a loser! Do I have to say any more than this? I'm glad that this is the last one I have to investigate, because it is becoming a bit repetitive. I wouldn't consider this one anyway as it only offers up to $25 per hour but another one of the same goes up to $40. Like I said, who needs second best?